Tap Dance is one of the basic dance disciplines, teaching rhythm and combining age old steps to form new and entertaining routines. 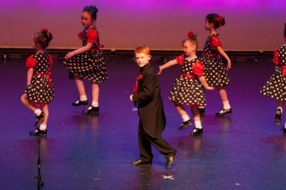 Our tap classes begin with tap technique, leading to routines in both Show Tap (as seen in Musicals like 42nd Street) or Street Tap which has it origins in American Jazz & Blues "Hoofing", and can be adapted to modern music and routines. Tap Shoes are essential.